Information submitted in a nomination letter to the U.S. National Ski Hall of Fame by Robert Livermore. Albert F. Sise skied one of the first downhill ski races at Mount Mooselauke, New Hampshire in 1928 and was a competitor in the first National Ski Association National Championships held on Mount Mooselauke in 1933. He also raced in the 1981 United States Ski Association Senior Alpine Championships, winning the slalom, giant slalom and the combined. Albert Fleetford Sise was born April 23, 1907, the oldest son of Lincoln Fleetford and Elanor Stanwood Sise, began his skiing early on skis fashioned, steamed and grooved by hand by his father. Local drumlin hills served as the arena for a track, a jump and an outrun. Al’s love of mountains stemmed from his grandfather, Mr. Henry P. Stanwood, a beloved member of the Appalachian Mountain Club and rugged mountain climber in the 1880s, who took Al on many mountain trips. At Browne and Nicholas School and Harvard College, development of European skiing, Hannes Schneider movies (“The Chase”), snow trains and returning European visitors with new equipment and techniques, convinced Al that New England Mountains were ready for the sport. The first year, the Pinham Notch Appalachian Mountain Club Hut was open during the winter it was the scene of a critical controversy. Al and some friends who had skied in from Jackson were convinced that skis were superior to snowshoes for winter travel. Joe Dodge, the hut master and director of the AMC hut system considered skis as worthless new-fangled gadgets that just got in the way. After argument, the matter was to be settled by a race, Al on skis and Joe on snowshoes around a set course. With Al easily winning, Joe was quick to realize the power of skis and naturally ski racing. Al was always ready for the races and placed well. As short wave engineer for the Yankee Network based in Boston, Al was chosen to supervise the building of the station on the summit of Mount Washington in 1940 (? ), a job which he did not find difficult to accept. The winter commuting up and down the mountain, often on skis, served as magnificent training for things to come. His wife Sue, Charles Proctor’s sister and point holder of the Women’s Eastern Slalom Championships (at the time), insisted on not being left alone any more than necessary in their home in Jackson, New Hampshire. During World War II, Al was recruited by Massachusetts Institute of Technology to help in the Radiation Laboratory which was developing Radar. Following the war, he became personnel director, a job well suited to his warmth and concern for people as well as his organizational abilities. It was at this point along with a more aggressive, younger group of skiers Al was brought to the realization that there should be a separate category for older racers. With the help of a number of individuals and the Eastern Ski Association, veterans racing began. Largely through his insistence that veterans racing be well organized yet informal and friendly in flavor, the program caught on instantly to remain popular and intensely active. As a tribute to his inspiration, the Veterans’ Committee modeled after the World Cup to provide a trophy for the man with the greatest accumulated points during a season. At the age of 72, Al still hosted skiers of all types who constantly visited him, helped to formulate plans for the veterans’ racing season and continued to provide leadership, advice and inspiration to those who sought it. 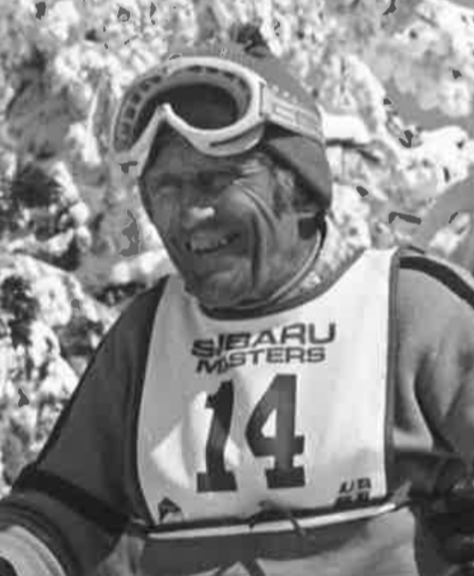 Albert Fleetford Sise was elected to the U.S. National Ski Hall of Fame in 1983. If you notice any errors or inconsistencies in Albert Fleetford Sise's bio, click here to let us know.